Decugnano dei Barbi the place where in February 2010 my adventure in this industry started. Founded by the Barbi’s family in 1973, forty years down the line, it still represents a leading winery in the area. Overlooking Orvieto at 320 above sea level, the Estate extends over 145 acres, part dedicated to grapes and part to olive trees. The soil, on this side of Orvieto, has marine origines, characterized mainly by sandstone and fossils such as sea shells and oysters. 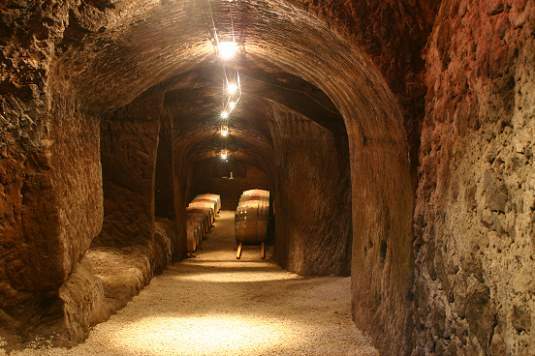 The main feature of the winery is the ancient caves dug by the Etruscans and today still utilized by the family for the production of sparkling wine Traditional Method and the French oak barrels. The Chapel, in the picture, is today a wine tasting area, where I currently still work as a wine tasting guide. On the other side of Orvieto, where volcanic soil and clay characterise the zone, there is a small winery run by the Neri family. The grapes are processed inside the ancient farm (in the picture) which has kept all its original features. Enrico Neri follows each steps of vinification, whereas his father looks after the vines. A family run business, where only passion and dedication are the driven rules. The vineyards stretch between 220/320 metres above sea level, 75% of the vines are white skin grapes, 25% to red grapes. Here the Orvieto Classico, the typical wine of the area, has a deep mineral background, the colour of the wine tends to be deeper and the overall impression of the wine is profound and powerful. My passion for boutique wineries has taken me to this jewel of an Estate, where the courage of Piero and Ramona Cantarelli has proved that it is worth to believe in dreams! Tired of their busy life in Milan in 2002 they gave up their city life and bought some land nearby Orvieto, on the side of the “Rock” where the soil is mainly clay with volcanic substrata. After years of selling their grapes to other wineries, in 2011 they kept part of their crop to make wine for themselves. The results? Superb! A Pinot Grigio to die for! Never seen before in this area. In fact the Cantarelli’s family gambled on international grapes, rather than the local grapes known to everyone. Their production includes: a Chardonnay and a Cabernet Sauvignon in purity together with a Bordeaux blend. 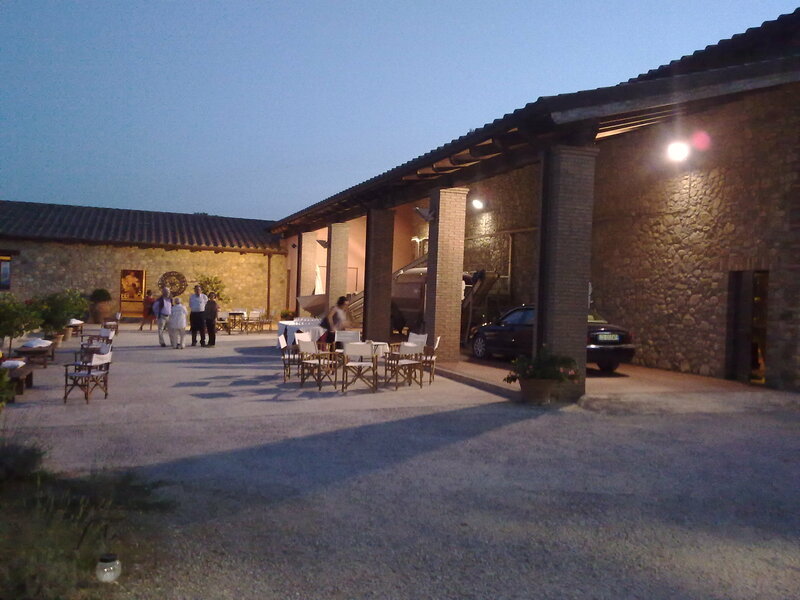 Palazzone is another one of my chosen wineries in the Orvieto area. 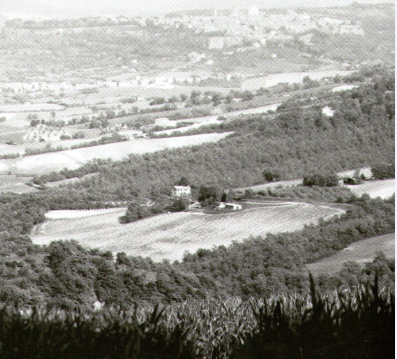 In the late 1960s the Dubini family bought “Podere Palazzone” with an ancient building historically known as an ospitalis built for pilgrims in 1299 by Cardinal Theodoric in occasion of the first jubilee requested by Pope Bonifacio VIII. Today 25 hectares are dedicated to the production of fine grapes. The wine is deep, profound, a true expression of its territory, capable of lasting decades, something unheard of for an Orvieto Classico! Barberani winery overlooking Lake Corbara, near the shores of the Tiber River. A family run business were father and sons are all involved in the wine making process. 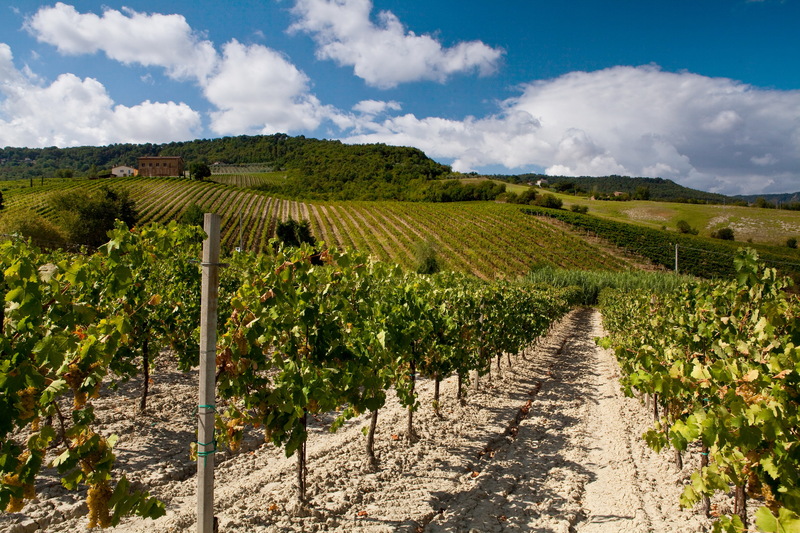 A total of 100 hectares of vineyards located between 200/300m above see level with limestone-clay and marine origin soil. 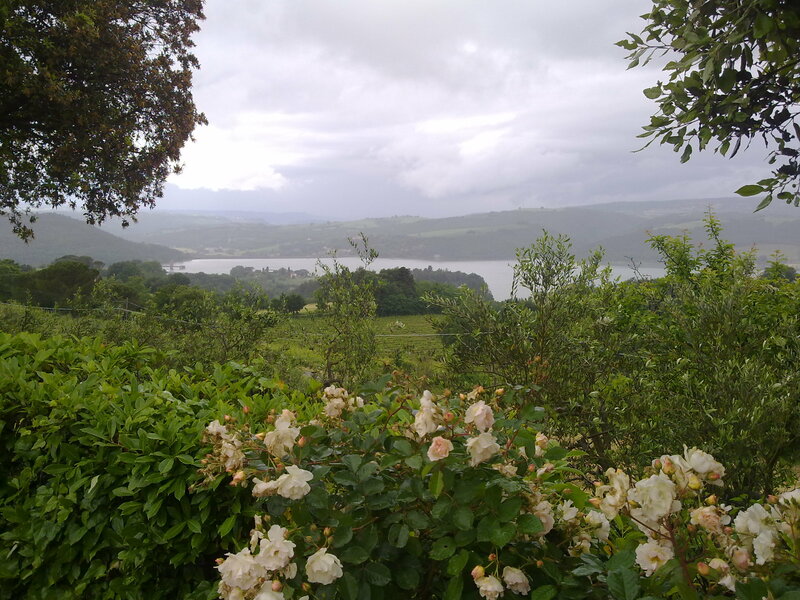 The presence of the lake creates a particular microclimate favourable for the famous Noble Rot typical of the area. The estate has Bio and Organic Certification, a choice made in the respect of the environment for a sustainable agriculture. My favourite of their wine is “Calcaia” the noble rot where a rich bouquet of honey, saffron, dry apricots characterized the nose. At the palate the sweetness is well balanced by the acidy, the finish is long and persistent. English stilton and “Calcaia” is my favourite food and wine pairing. Out of all the wineries in Orvieto, Castello della Sala is by far the most outstanding ancient fortress dedicated to wine making since Medieval times. Owned by the Antinori group, one of the most important wine making families in Italy, today the Castel represents a landmark for Orvieto Classico Doc. The vineyards are spread over 160 hectares, between 200/400 metres above see level, on a clay soil, rich of fossils from Pliocene time. 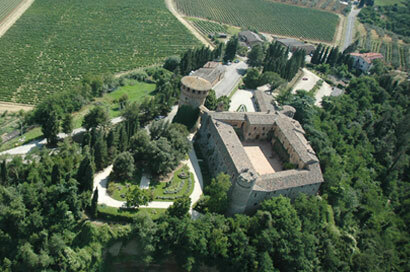 The Estate is world renowned for “Cervaro della Sala” a blend of Chardonnay and Grechetto capable of aging for decades. 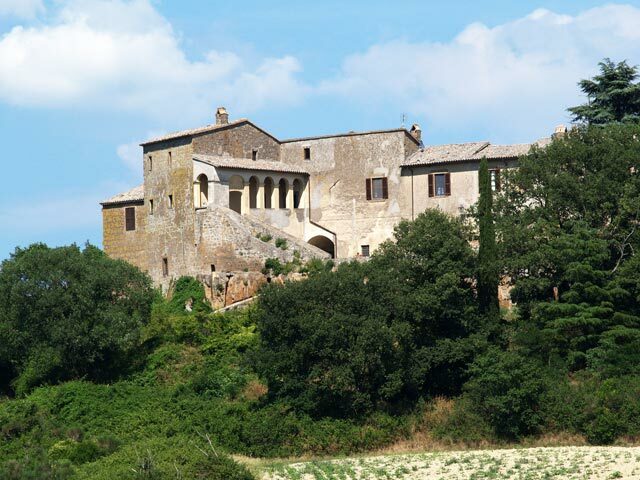 In the XVI century Sante Lancerio, the cellar man of Pope Paul III Farnese, was speaking fondly about the wine produced in Sucano, the village on the outskirts of Orvieto where today the Zwecker family runs this small Estate. At 450m above sea level, 4 hectares of land are dedicated to International varieties such as: Cabernet Franc, Cabernet Sauvignon and Viognier. The fertile soil has volcanic origins with sand and clay as the main components. “Sucàno” is their main red with Cabernet Franc as the main grape variety, a full body wine which requires the consumer patience…it certainly improves with time!